SKEENA SAWMILLS is on the verge of announcing substantial improvements to its milling facility and associated works along Hwy16 west of Terrace. Now the only substantial mill in the region, Skeena Sawmills is owned by Roc Holdings Ltd. based in the Lower Mainland. The company is part of a substantial real estate, development and construction conglomerate located in China, a country that is one of the world’s largest lumber consumers and where demand is expected to increase. Details of cost and the scope of the improvements have yet to be released but work to increase lumber milling capacity is expected to start this winter and within the mill’s existing buildings. PRINCETON, W.Va. – The Future of the Hardwood Industry conference will be held November 2 – 3, 2016 at the Wood Education and Resource Center in Princeton, West, Virginia. Remaining competitive is difficult for domestic producers of hardwood lumber. The industry is still in the midst of a slow recovery from the recession seven years ago with residential housing markets making a slow comeback and offshore producers fighting to maintain and increase their share of the U.S. markets. While many aspects of the current business climate cannot be controlled, leading companies always wonder what the future might bring. ödra is implementing structural changes in its hardwood sawmills to strengthen the long-term competitiveness of its sawmill operations. Negotiations with trade unions will be initiated with the intention of closing the hardwood sawmill in Djursdala, Sweden, with its 15 employees. Södra acquired the hardwood sawmill in Djursdala in 2009 and it is one of Södra’s smallest sawmills with annual production of 15,000 cubic metres of oak and birch timber. “We have not achieved profitability despite extensive efforts. A long-term profitable sawmill operation is an essential part of the assignment from the owners to create profitability for forest estates. The Wood Innovation and Design Centre has earned a Governor General medal in architecture. The green building was one of 12 buildings that earned the honour at Rideau Hall in Ottawa Tuesday. The annual awards, which launched in 2014, “recognize outstanding achievement in recently built projects by Canadian architects,” the release said. They are selected by the Royal Architectural Institute of Canada and the Canada Council for the Arts. In 2015 WIDC earned several accolades at the Wood Design Awards, including for wood innovation. The 29.5 metre structure is known as one of the tallest contemporary wood buildings in North America. HITACHI-OMIYA, Ibaraki — The Miwa district of Hitachi-Omiya, Ibaraki Prefecture, located in the northwest part of the city, close to the border with Tochigi Prefecture, is more than 80 percent forest. 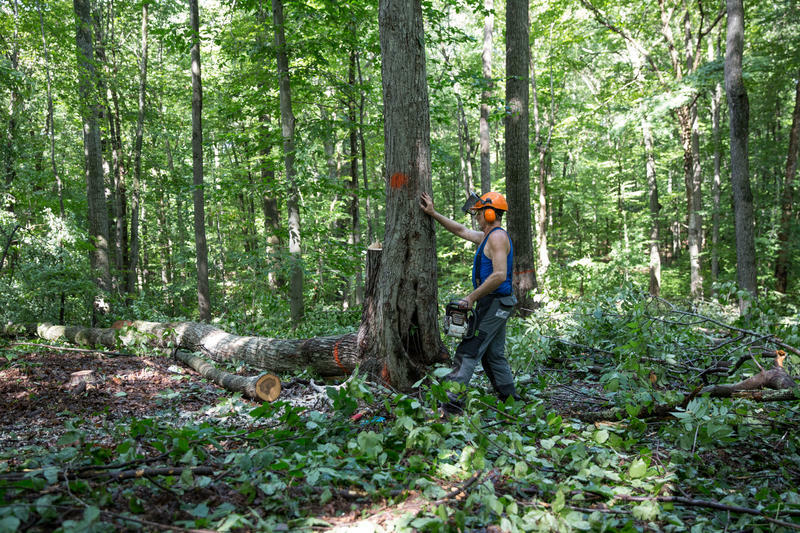 …As part of forest thinning efforts, local resident Fukuji Kuwata recently cut down a Japanese cedar more than 30 meters tall and about 50 years old. …In fiscal 2012, however, local residents created a group aimed at vitalizing the community and launched what is called a wood station project (see below) in cooperation with the local Miwa timber cooperative. The wood station project aims to promote the effective use of residual timber products from forest thinning. An increasing number of such operations are under way nationwide. A new report released by the Partners In Flight coalition contains a shocking statistic — there are a billion and a half fewer birds now on the North American continent then there was in 1970. That’s a loss like we are used to hearing about from distant history. That’s roughly the number of Passenger Pigeons that were estimated to have once flown so thick they darkened the skies before going extinct in 1914. The report goes on to say that most of those 1.5 billion were birds that nest and breed in Canada’s Boreal Forest region. This is alarming news. But a bold and sweeping solution underway in the Boreal Forest offers a chance to restore birds to their natural abundance. 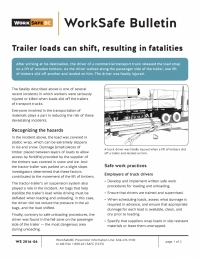 RICHMOND, BC – WorkSafeBC has published a safety bulletin to highlight the threat of shifting loads following several related injuries and the death of a 39-year-old driver. The driver who was killed had been trying to adjust a load of packaged timber that was overloading his rear axle. He loosened the load security straps while the forklift operator shifted three packages forward. As the driver walked up the side of the trailer, one of the packages of lumber slid off the trailer and crushed him to death. …Among other procedures, the bulletin reminds employers to ensure that appropriate clean and dry dunnage is available in advance, drivers to choose level parking surfaces and deflate air bags before loading or unloading, and sawmills to use slip-resistant materials instead of plastic wrap to cover loads. Where does Tumbler Ridge Fit in a Global Economy? I am a researcher from the University of Victoria studying the impact of the global economy on small, resource-dependent towns. …Many small British Columbia communities are increasingly pressured to engage with multinational corporations over resource extraction and distribution (e.g., forestry, mining, agriculture, etc.). Many of these corporations have no real roots in communities, make decisions at a distance, and have significant power and resource advantages relative to the communities affected. …To answer these questions, I am looking at three BC communities to understand how they have adjusted from the recessions in the 1980s and 90s to the present. The three communities—Gabriola Island, Tofino, and Tumbler Ridge—all have one thing in common: they were each deeply involved with or affected by corporate resource extraction decisions. The Conservation Officer Service is making a plea to homeowners in all communities in the region to help reduce bear-human conflicts. Do your part as a responsible citizen and homeowner; pick all fruit you may have on your properties as soon as possible. As well, residents are asked to be diligent with garbage management to further reduce attractants for bears. There has been a noticeable increase in Human Wildlife Conflict reports from all communities in the past week, specifically dealing with black bears in high density residential areas accessing an abundance of unpicked fruit in back yards. 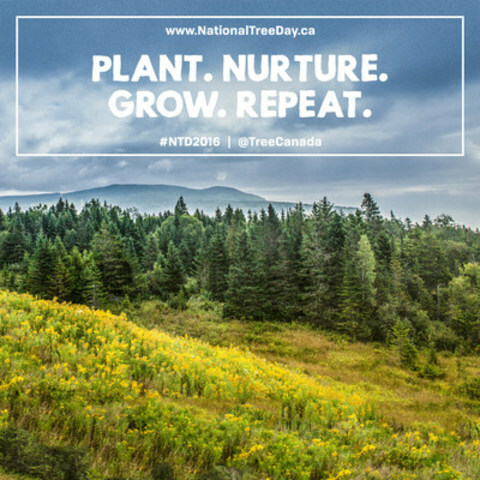 National Forest Week is a time to reflect on the importance of forests to Canadians, not just as an economic generator but for all the recreational, environmental, wildlife and other values that help define who we are as a nation. Here in B.C., our approach to forestry has come a long way since the industry’s early days when the primary focus was on harvesting trees. Today, we have a much deeper understanding of the interdependent nature of all that our forests have to offer. In fact, that commitment forms the foundation of my ministry’s recently released forest competitiveness agenda, which maps out the government’s plan to help keep B.C.’s forest sector competitive by focusing on three inter-related goals: healthy, resilient forests; a diverse, globally competitive industry and stable communities and First Nations. The Macphail Woods Ecological Forestry Project is marking 25 years of working to restore P.E.I. forests with a celebration this Saturday. “It started really out of frustration with seeing what was being done to our forests on Prince Edward Island. It was difficult to keep going to meetings and debate people in rooms about good forest practices,” founder Gary Schneider told CBC Radio’s Island Morning. “The idea came to me it would be much more fun to engage the public and see if we could have some kind of influence on them to look after their forest better.” The project started in 1991 in southeastern P.E.I. with a wildlife garden, a native plant nursery, a few walking trails and some small demonstration projects. contribute to the urban forest. by Paul Davis, Vice President, Southern Timberlands for Weyerhaeuser Company. Bill Johnson Jr., Chairman of the Forest Resources Association and President of Johnson Timber. For decades, the businesses that ensure the sustainability and reforestation of our country’s forests have relied on the H-2B Guestworker program to keep their doors open. However, the viability of these businesses is currently in question as the program’s Returning Worker Exemption is set to expire at the end of this month. In order for businesses operating in the wood supply chain to meet demand, employ workers, and grow their operations, it is imperative that Congress renew the returning worker exemption in the Continuing Resolution and FY 2017 funding. For the last several years, forestry businesses have been faced with much uncertainty, nowhere more so than with their labor force. Even during times of high unemployment, as we have seen most recently, reforestation work is unattractive to U.S. workers. In a debate hosted by the Association of Washington Business at Suncadia last week between the general election contestants for Washington Public Land Commissioner, Democrat Hilary Franz seemed to move toward a reversal of her previously stated position that Washington should decouple state public lands timber sales revenue from school construction project funding. That earned her some criticism afterward, for mishandling a key policy question the first time around. Franz declined comment to Lens, through her campaign manager Kristina Brown. Her opponent, Republican Steve McLaughlin, re-affirmed his support for the practice. This week, representatives from environmental groups, the timber industry, and people with an interest in public lands came together in Missoula to talk, and maybe even start to trust each other. “Because that’s what comes out of this concept of collaboration.” That’s U.S. Forest Service Chief Tom Tidwell, a strong supporter of collaboration when it comes to managing public lands. “Being able to bring diverse interests together in a way that people can work together, find compromise to move forward, the end result is trust.” Tidwell spoke Tuesday at a policy forum put on by the Western Governors Association, of which Montana Governor Steve Bullock, a Democrat, is the current chair. 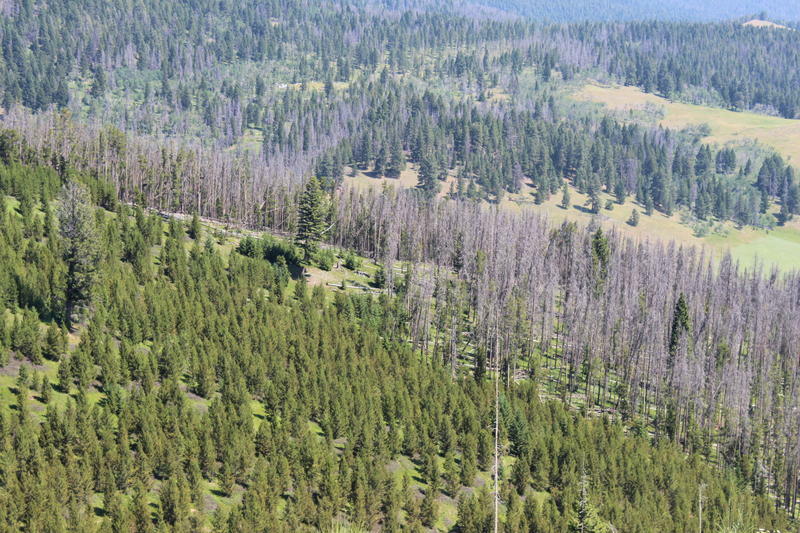 It used to be that getting Montana’s lumber mill owners, environmentalists and government officials together in a room to fix forest management was the big problem. Now, the challenge is getting anyone outside that room to pay attention to the solutions this group of former enemies developed in it. “A decade ago, we probably would have asked for law enforcement,” Gov. Steve Bullock told the audience at the Western Governors’ National Forest and Rangeland Management Initiative workshop in Missoula. Instead, Bullock said the room was working on ideas to get logs on trucks, reduce wildfire danger and protect places that need to be left alone. And the U.S. Forest Service stands waiting to act on those ideas, agency Chief Tom Tidwell added. COOS BAY — Blue Ridge Road, located east of Coos Bay, will be bustling with logging activity as the Bureau of Land Management begins a timber harvest in the area. Visitors who travel to Blue Ridge should use caution as timber felling will occur along the road. Logging contractors are required to post warning signs in the area, and flaggers will direct traffic when the logging operation affects Blue Ridge Road. The BLM recommends visitors access Blue Ridge from the north, travelling first along Catching Slough Road to Stock Slough Road, as most of the activity will occur along the southern portions of Blue Ridge Road. The work is expected to occur intermittently for the next three years. Local environmental groups, timber industry representatives, and state and federal agencies will meet in Missoula this week to talk about collaboration. The two-day workshop is put on by the Western Governors’ Association. Earlier this year, WGA chairman Steve Bullock announced a National Forest and Rangeland Management Initiative. Jim Ogsbury, executive director of the association, says that Bullock’s goals are “multifold.” “On the one hand, I think he wanted to create a mechanism for states and land managers to learn from each other, to share best practices, and policy options, and case studies.” A bipartisan association, the Western Governors’ Association seems to be focusing on collaboration before shaping policy. For most every Duluth fifth grader, classrooms on Tuesday were quite different, as eight hundred of them, their teachers, and volunteers too took their lessons from nature. Rotating through stations at Chester and Lester Park, Spirit Mountain Recreation Area as well as Hermantown’s Keene Creek Park, students participated in the annual Forestry Field Day. The event is a chance for kids to learn forestry concepts ranging from tree growth, hydrology, wildlife management and forest products. Ten-year-old Lilliana Hitchcock of Piedmont Elementary was helping to measure how much rain water a tree’s canopy could hold. Walk a few hundred yards into the woods in Durham, Connecticut, and you’ll see something that looks like it’s out of “Mad Max” — large trucks, with big wheels, and giant robotic arms, grabbing trees and slicing them down. But this controlled chaos is a calculated timber harvest, with the long-term goal of creating a more resilient forest. “People generally don’t appreciate the way it looks right now,” said Lindsay Suhr, with the Connecticut Forest and Parks Association. “In a few years it will look very different, so they might have a different appreciation.” We talked at Field Forest on Bear Rock Road in Durham. Chainsaws were going strong. After a lot of time spent marking trees and planning cuts, trees finally began to fall, leaving behind piles of logs and decomposing stumps. It’s messy. Ash dieback has decimated forests since arriving in the UK in 2012. It is still wreaking havoc in Northern Ireland, with dozens of fresh cases identified here in recent months. Officials revealed “about 80 further outbreaks” had been recorded so far this year, and warned that the disease was “still spreading”. 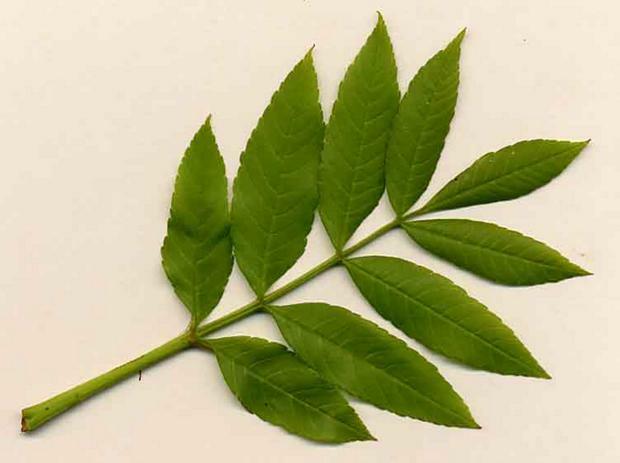 Ash dieback causes leaf loss and crown dieback in ash trees and can also cause an infected tree to die. The disease was first discovered in Northern Ireland in the autumn of 2012. 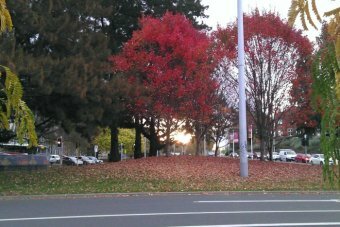 It was initially linked to trees that had been imported. 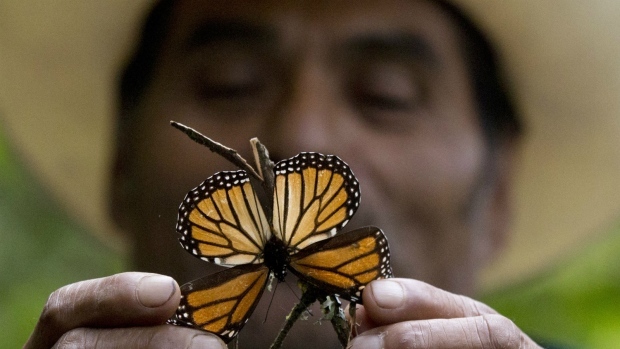 MEXICO CITY – Mexican environmental authorities say they have closed seven sawmills operating illegally in the forest reserve that serves as the wintering ground for monarch butterflies that migrate to Mexico from the United States and Canada. No logging is permitted in the reserve’s core zone, but loggers have tried to cut trees there in the past. A larger buffer zone does permit some strictly regulated logging and farming. Authorities announced the closures Tuesday as part of a stepped-up enforcement effort in which the federal police’s Gendarme division is participating. Indonesian, Malaysian and Singaporean authorities have dismissed research that suggested smoky haze from catastrophic forest fires in Indonesia last year caused 100,000 deaths. Some even contend the haze caused no serious health problems, but experts say those assertions contradict well-established science. Last year’s fires in Sumatra and the Indonesian part of Borneo were the worst since 1997, burning about 261,000 hectares of forests and peatland and sending haze across the region for weeks. Many were deliberately set by companies to clear land for palm oil and pulpwood plantations. Three Yukon schools could soon be burning wood chips instead of heating oil, as the territorial government considers a switch to biomass. The schools are the St. Elias Community School in Haines Junction, Johnson Elementary School in Watson Lake and the Teslin Community School. Shane Andre, director of the territorial government’s energy branch, says wood could be harvested and chipped locally. “It allows us to create some economic opportunities close to those communities,” he says. These days, the logging industry’s representatives sound oddly happy about all those dead trees in California’s forests. And they should be — they’ve successfully manipulated public fears about wildfire into a last-minute legislative bailout for expensive, greenhouse gas-belching “biomass” power plants. Logging interests are convinced the bailout will allow them to ramp up logging of public and private forests statewide. The price tag? Nobody knows yet. But you’ll pay it on your electric bill. And your money will be wasted because the logging industry’s whole premise is wrong. Lockheed Martin has launched a new facility in Owego, New York, designed to convert waste into renewable energy. Lockheed said Tuesday its bioenergy plant implements a system that uses a Concord Blue-built technology platform that works to derive electricity from waste through the advanced gasification process. 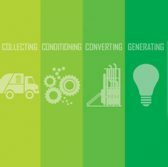 The advanced gasification process involves the collection and use of wood-waste, industrial and municipal solid waste and then turns waste into synthetic gas, which could be used to power a combustion engine in order to generate electricity. As a long-standing advocate for sensible stewardship of our state’s natural resources, I’ve been encouraged by the recent growth in Alabama’s wood energy industry. Wood energy resources, in the form of wood pellets, are created by harvesting wood-processing waste and tree thinnings, grinding them together and then compressing the mixture under high pressure to remove the water content. The pellets produced from this process can then be utilized for renewable electricity generation. …The woody biomass industry can provide well-paid jobs for Alabamans. According to National Alliance of Forest Owners research, the forestry industry supports over 94,000 jobs in Alabama. As foreign interest and trade increases, the activity of our ports does as well.